New DIY MFA Article on the Act I Choice, Plus a New Worksheet! After my recent DIY MFA post on themes arising from the inciting incident, I wondered whether other major plot points could also reflect a story’s heart. So, the newest installment of my Theme: A Story’s Soul column does just that. Today we look at the pivotal choice that ends Act I, or the “Point of No Return” that was covered in the Character Evolution Files. 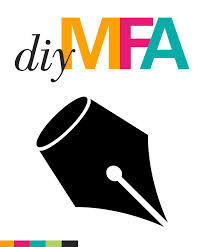 New DIY MFA Article on Antagonists, Plus a New Worksheet + The DIY MFA Book! New DIY MFA Post on Themes in Symbolism, New Worksheet, + Awesome Surprise!